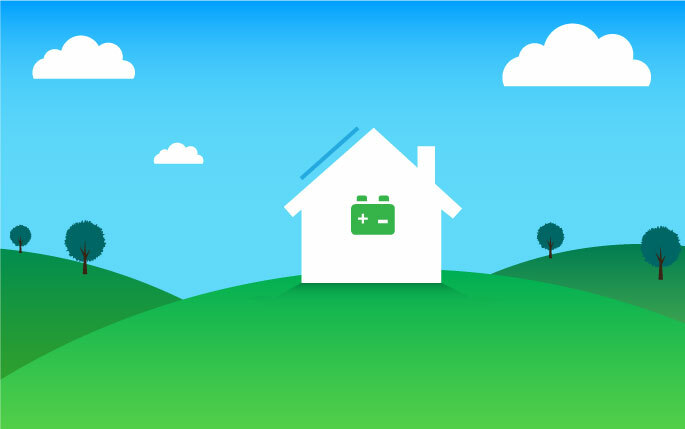 to Solar Storage	Welcome to the future of energy management. Like bread and butter, black and white, sun and sand -- solar and storage are a perfect pair. 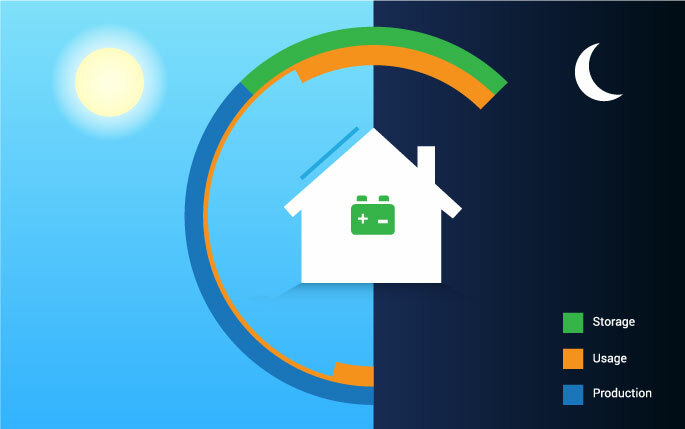 Storage addresses a fundamental problem of solar energy: while solar production peaks during midday, energy consumption is highest in the morning and evening. With storage, you can save the energy you produce for when you need it most. Heard a lot about storage lately? Here’s why storage options are emerging now. Policies like Net Metering and Feed-in Tariffs used to make it a good deal for homeowners to sell excess solar energy back to their utilities. With those incentives disappearing, many homeowners find it makes more financial sense to store their extra energy and use it themselves. Battery chemistry is progressing, allowing higher energy density in smaller, lighter batteries. The development of electric vehicles has helped propel battery chemistry forward, resulting in batteries that not only pack more power into a small space, but are also less expensive, safer, and longer-lasting. Technology and chemistry improvements, along with increased production, have driven battery costs down. The price of lithium ion batteries dropped 90% between 1990 and 2005, and has continued to fall since. 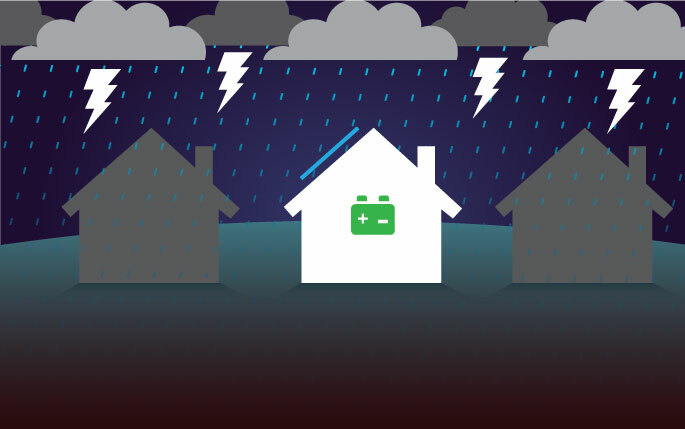 Highly publicized natural disasters such as typhoons and tsunamis have caused a surge in demand for energy storage, specifically backup power solutions. With self-consumption, you store your excess solar power to use later. Think of it like recording a TV show on your DVR to watch when you want to. Time of use optimization refers to drawing energy from the grid when energy prices are at their lowest, such as late at night, and storing that power for use when energy is more expensive, such as in the morning. Backup storage is the method of storing power to use during a grid outage. If your goal is to be off-grid, you use storage to be energy self-sufficient, without relying on the grid. What’s your primary energy goal? I want to minimize my energy bills. Learn more about backup power. Storage systems come in two varieties: AC-coupled or DC-coupled. AC-coupled systems connect to a solar array on the AC side, while DC-coupled systems connect on the DC side. The most obvious advantage of DC-coupled systems is that they allow both the solar array and battery to be served by a single inverter. AC-coupled systems offer equivalent efficiency to DC-coupled systems with advantages in flexibility, reliability, and safety. The Enphase AC battery is an example of an AC-coupled system, while Tesla’s Powerwall is an example of a DC-coupled system. One inverter handles all conversion for PV and batteries. Demand charges are the charges that commercial customers pay for the peak amount of power (load) that they draw from the grid. Demand charges can be a substantial portion of a utility bill; a battery helps lower them by allowing the commercial building to draw from the battery instead of the grid during peak times. 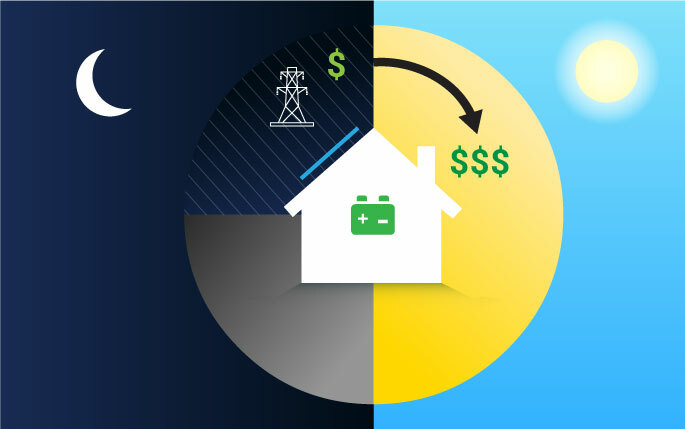 Demand response programs compensate utility customers for reducing their electricity use (load) at the request of the utility. Frequency regulation happens when the utility calls upon batteries to inject power into the grid or take power off the grid to help the grid maintain a stable frequency. Battery owners are compensated for this service. Lithium ion is the overarching term for any lithium-based rechargeable battery. The name refers to lithium ions that are shuttled between cathode and anode when the battery is charged and discharged. Load shifting is the process of shifting the time when energy is used. For example, running the dishwasher at night to take advantage of off-peak energy prices. Peak shaving is the process of reducing peak power usage.